Now (yes, today!) you can have a new address in Vancouver Canada, receive phone calls, mail and courier! Why? How about increasing your financial or social status with a new virtual office, business, residence, address or vacation home--simply by renting an easily affordable mailbox! What would you do if you wanted privacy from prying eyes, a separated spouse, annoying correspondents or people after your money? Create some distance and rent a mailbox here, with occasional mail forwarding. Problem solved, you're "out of town" for as long as you like. What would you do if you were operating a business, let's say, in Dallas or Toronto or maybe even Hong Kong, and wanted to expand your operation, i.e. to Vancouver, wouldn't you want your test market to have quick and easy access to a local address? Why, a Branch Office is your answer! Right here with our staff to help you grow. As short- or long-term as you like, until you're ready to 'roll out'. You can even have your samples mailed from Vancouver. All this for less than Cdn 60 cents a day. A real working office? Sure. See for yourself, Click on Mailboxes and check out the prices. What would you do if you are a successful home-based entrepreneur or operate a profitable e-business, but wanted to keep a little distance from the store front, or better still, protect your privacy, home and your family from the daily grind? So easy! We're here to provide you with a virtual office and address, complete with telephone answering, fax service, word processing, e-mail, snail-mail, courier and registered mail acceptance, ...pick up your laundry ;-) ... although on request, we have sent souvenirs, T-shirts, sweaters with Vancouver logos. Small, medium or large? What would you do if you travelled extensively for business or pleasure, like sailing around the world, going on a 12-month hiatus, wanting your really important mail to be safe and secure and have it mailed or couriered to your hide-away or distant port? sidebar: Speaking of ports, have you docked at the Bayshore (a Westin Hotel)? Here you're within easy walking distance to everything in downtown Vancouver. We do that, albeit with a hint of envy...(forwarding your correspondence to the South Pacific). What would you do if you wanted to impress your friends and neighbours with your new prestigious address in upscale West Vancouver, BC, Canada, (past and current residences of big-time actors and celebrities)? All you need is an address here. We provide that very reasonably. A real street address. Receive mail too? You bet! What would you do if you just wanted to have a little fun or make-believe, and have some people or friends think you're living or vacationing in beautiful Vancouver, or skiing, hiking, partying in Whistler (North America's favourite fun place to be)? Or maybe send postcards or mail from here? How about sending payments - postmarked Vancouver? Now there's a thought!...Think of the possibilities! You guessed it. It all happens from this office. All in strictest confidence, professionally carried out to your explicit instructions. 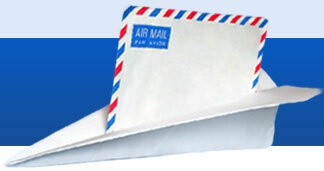 See for yourself in our Re-mail section under Mail Forwarding. It's all so fast and easy to set up. If we don't get back to your e-mail inquiry or order within 24 hours, you get the first month's service FREE. That could be a savings of as little as $15.00 or as much as $65.00 (with telephone answering). Go ahead, give us a try. How can we help YOU? Set up your Vancouver address today, click on ORDER, and get ready for some action.